Area : 30 sq km. Languages : Hindi & English. Dehradun is one of the most important city of the state as well as oldest city in India. 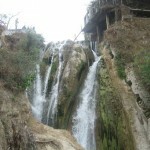 It is located in the north Indian state of Uttranchal. Nestled wide and thickly forested valley of the Shivalik ranges at an altitude of 680 mts. The town lies in the Doon valley, on the watershed of the Ganga and Yamuna rivers. The history of Dehradun dates back to 250 BC. The climate of the city is conducive to the growth of fruit trees and Dehradun is famous for its fruits orchards. There are number of tourist spots nearby the city attracts millions of people ever year. Best time to visit the place is around the year. Air: Nearest airport is Jolly Grant (25 km). Rail: Nearest railhead is Dehradun. 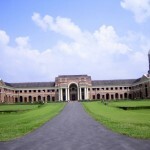 Forest Research Institute: The institute is the biggest forest product training institute and established by the British in the early years of this century. Across the 6 galleries of its museum are laid out some of the best collection of specimen’s of Flora & Fauna. All Forest Officers in India are trained here. Wadia Institute of Himalayan Geology: The museum containing rock samples, semi-precious stones and fossils is the center of attraction here. 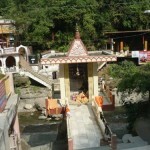 Tapkeshwar Temple: The cave temple is about 5.5 km from the city bus stand and is situated in the Garhi Cantonment area. It is dedicated to Lord Shiva, the temple is beside a stream, which is directed to flow onto the lingam. During Shivratri, a large fair is held here. Robber’s Cave: The cave is 8 km away from the city bus stand & popularly known as Guchhu Pani. The last kilometer has to be covered on foot. The cave is an ideal picnic spot, surrounded by hills. Here, water vanishes underground only to reappear after a few yards in the form of a stream. Malsi Deer Park: The park is located at the foothills of the Shivalik range and about 10 km from Dehradun on the way to Mussorie. A mini-zoo with a children’s park and lovely natural surroundings make it an ideal spot for picnic. Sahastradhara: The place is located about 14 km from the city bus stand. 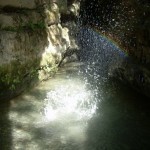 It is a cold salferr water spring having high medicinal value. Lakshman Siddh: It is about 12 km away from Dehradun enrooted to Rishikesh. Memorable road goes up to the temple. Legend of this place is that a saint had undergone penitence. On Sunday, a large number of people visit the temple to worship. 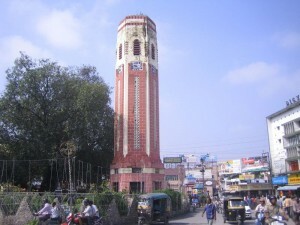 This entry was posted in Dehradun, Uttaranchal and tagged about dehradun, Clock Tower, dehradun map, dehradun mussorie, dehradun photos, dehradun pictures, dehradun tourism, dehradun travel, dehradun website, delhi dehradun, dit dehradun, Forest Research Institute, Ghanta Ghar, haridwar dehradun, Lakshman Siddh, Malsi Deer Park, Robber's Cave, Sahastradhara, Tapkeshwar Temple, tourist places in dehradun, Wadia Institute of Himalayan Geology. Bookmark the permalink.